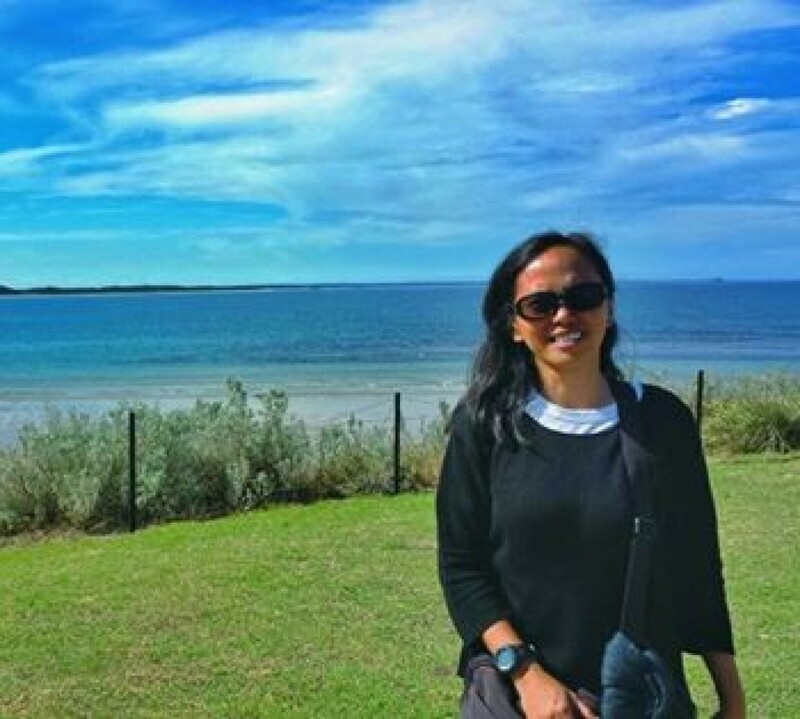 We all know about “Filipino time”, a negative value that describes the Filipino. You would be a hypocrite if you deny of using this term and doing it too. Does a second matters to you? An hour would be, and even a minute, but would losing a second be important to you? I’m a wife of triathlete, hubby has finished several multi sport event and excelling in each one of them. 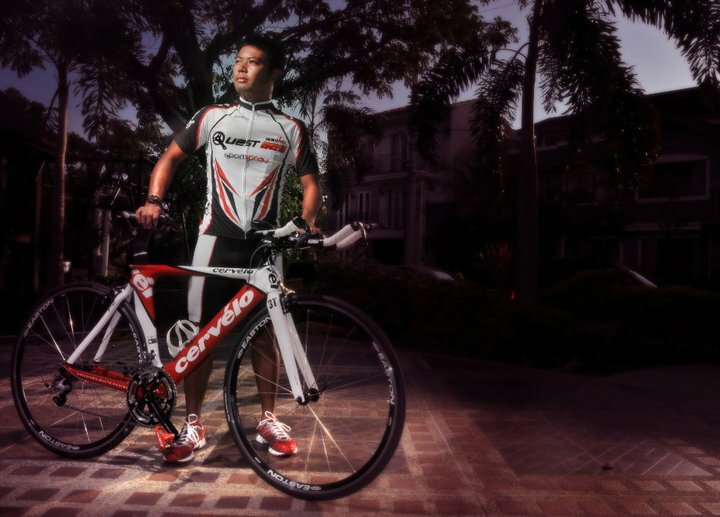 Just this Sunday, July 17, he competed in Matabungkay at the Tri King event, when he fully recovered from his bike crash and completed his physical therapy session, he was psyched to train for the said event. I would whine that he no longer have time for me nor the kids. But I understand how important it is for him to finish strong in this race, since it was his comeback. 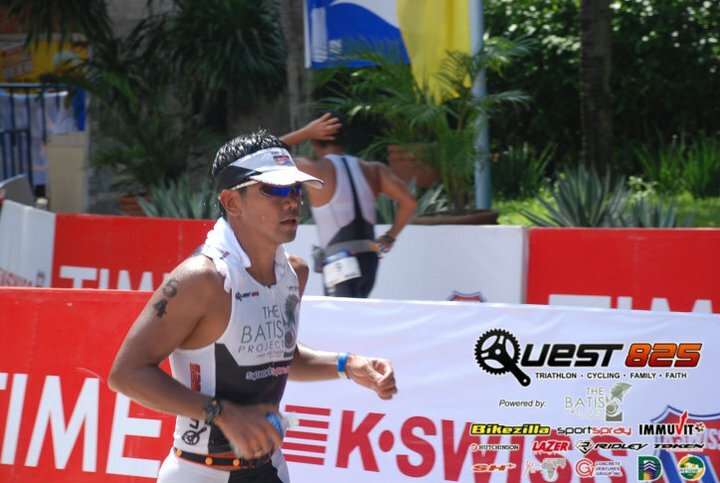 Next race is 70.3 Ironman in Camarines Sur and Bohol on December for the full Ironman. Today, he’s competing in Subic, I’m just hoping that he comes back safe and whole. For I don’t want him to go through another mishap. To the Quest boys, God speed, have a safe ride. It’s always nice when you’re joining a race but it’s even nicer when sometimes you just have to be an “audience” or “supporter”. And that is the scenario earlier today when my beloved husband joined the Powerade Duathlon Leg 3 at MOA by the Triathlon Association of the Philippines (TRAP). He also joined the last leg which was his first road Duathlon. Compared to the last leg there were a lot more “duathlete” who joined, and almost all of them are eager and excited about the race. There were a lot of familiar faces during the race, Ian aka Seabiskwit, Pinoy UltraRunners Hector, Jeremy, Mikey (also of Second Wind), Rico Villanueva aka Sheerwill, Ryan (forgot his last name) just to name a few. A briefing was held first informing the athletes of some changes in the route of the race. And started at 6:45AM, the athletes were off to their (2x)3.5K loops from Bradco Avenue to Macapagal Avenue/Coastal Road. Here’s Erick finishing his first loop. He finished his first run of 7K in 34minutes. He clocked in his 30K bike ride in 59minutes which I think is not so bad considering he is using a mountain bike. God permits he would be able to buy his road bike in the next couple of weeks in preparation for the Speedo Tri. Leg 4 at UPLB on October 3.